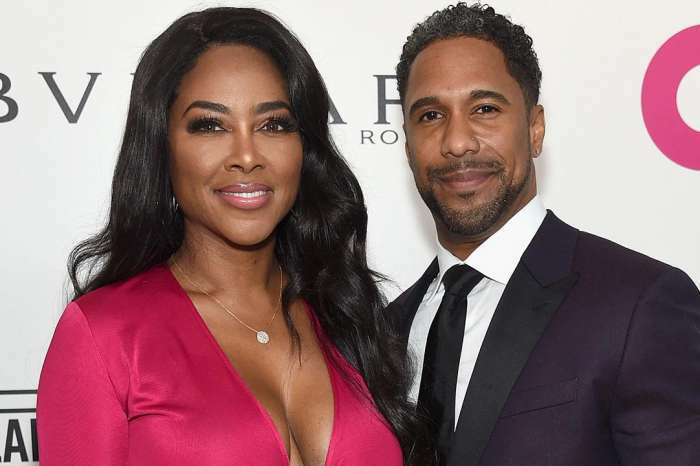 All is well between Kenya Moore, who apparently debuted her baby bump, and her new husband, Marc Daly, and as she has a habit of saying, the haters need to step away. Moore shared a rare video that showed how she and Daly spent Christmas and it will surprise you. For this holiday, the Real Housewives of Atlanta star decided to visit the famous Carrie Steele Orphan Home in Atlanta, that was founded in 1888 by Carrie Steele Logan, born a slave in Georgia. It is one of the oldest predominantly black orphanages in the country. This is the first time the couple appeared on camera together. The couple was seen hugging and laughing with the children and staff members. Daly, a famous restaurant owner from New York, showed off his soft side as he played with children at the orphanage. Moore gave a beautiful speech at the gathering. Fans are freaking out over the video because all of them are certain that Moore, who is famous for her six packs, is indeed pregnant and they can see a tiny baby bump under her large sweater. “This is so awesome!!! I think you are pregnant…. There’s your chance at motherhood! And if you are eventually blessed with your own, that’s an even bigger blessing!! Good luck & I hope you get your happy ending.Very glad to see Kenya and Marc so happy and to give back. Hope 2018 and on will be your turn, your years to fully enjoy now w/ hubs & babies maybe? God bless u Kenya,” claimed another supporter. Moore wed Daly over the summer in Saint Lucia in an intimate ceremony where none of the RHOA cast members were invited. Rumors quickly started spreading that the marriage was fake and she was doing it for a storyline. Moore bashed the naysayers and had almost confirmed in a Wendy Williams interview that he biggest dream is about to come true — she is about to become a mother. Do you think Moore is pregnant? Can you catch a glimpse of the baby bump?